GlenDronach is a classically sherried whisky. The meaty, sturdy spirit distilled near the Dronach Burn in Speyside is naturally suited to long aging in ex-sherry casks. Most of the products on the shelf are bottled from the stocks of maturing whisky distilled by the previous owners. Now that the Benriach Distilling Company owns it (since 2008), we can expect to begin seeing offerings from this distillery that both enforce the “sherry monster” reputation, as well as explorations into new avenues of expression. 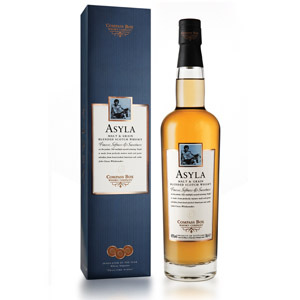 For example, a 21-year and soon a 15-year bottling finished in tawny port casks. Looking forward to trying those! The 12 year-old “Original” product, re-launched in 2009, is entirely aged in ex-sherry casks, some Pedro Ximinez and some Oloroso. It is non-chill-filtered, no coloring added, and bottled at 43% ABV. The more I drink good whisky the more I appreciate seeing those declarations on labels. Nose: Meaty, sherried nose with lots of dark red plum, chewing tobacco, and a savory quality – like glazed short ribs. Lots going on under the surface – thankfully not too sweet nor too fruity. Just right, in fact. After developing in the glass, there’s a little Maraschino cherry, and maybe some wood varnish. Palate: Medium-bodied and mellow. Initially there is a rush of cherry and a rye-like spiciness, which subside into barbecue sauce, dried plums, coconut butter, and dark chocolate shavings. Finish: Not long, but tasty. The lingering effect of the wood tannin dries the mouth, while a burnt sugar taste like cola persists, but isn’t bitter. After awhile the malt finally shines through, with a marshmallowy powdered-sugar-covered cereal flavor. Good stuff. A few drops of water seem not to affect the nose, palate, or finish. Odd, that. I suggest leaving out the water, although it might sweeten things a tad, if that’s how you prefer it. Overall: For $45 this is an exceptionally good sherried malt. Worlds better (I think) than The Macallan 12, at a similar price point. It has a continuous balanced savoriness that works perfectly with the sweet fruit elements inherent in sherry maturation – like a good spicy/sweet glaze on barbecued pork. Yum. 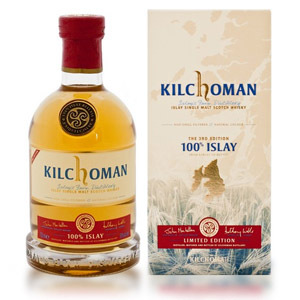 If you have a spot in your daily dram rotation for an inexpensive sherried malt, get this one. Have ever tasted from the 1980’s a Scotch by the name of “Something Special” ? @Dan Nope, I’ve never heard of it! From the 1970’s by Seagrams. 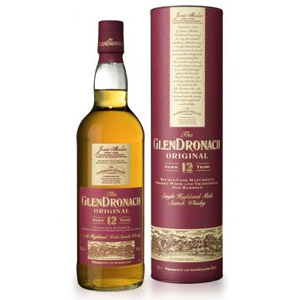 Where GlenDronach(12) is the pre-teen upstart, GlenDronach(18) is the wizened older brother, mature beyond its years. Tried this one per your recommendation and it’s every bit as amazing as your review suggests. I only wish the finish was a bit longer. Thanks! My old roommate was fortunate enough to get a bottle of the 12 from a (literal) fire sale at a local spirit store and the both of us were very pleasantly surprised at how fantastic it was. That was a few years ago and it still seems to fly under the radar here in Rochester NY with us having to special order it whenever the desire arises. Heard nothing but good things about the 15 year Oloroso and am eagerly awaiting a call from my local store when it arrives. I wish I could try this. Can’t find it here in southeastern Connecticut. You could try a pilgrimage to a Kappy’s or Julio’s liquors in Mass., that’s actually where I bought my first bottle of GD 12, when I was visiting a friend in MA. I found it! I was at a place in Westport, CT for a bottle of Doublewood 12, and asked the owner if he had heard of it. I wasn’t expecting much, but he had, and ordered a bottle for me. $51. I can’t wait to try it. I picked this one up recently and it’s quite delicious. Thanks for the recommendation! Wow. Been a scotch guy for a long time. I guess I am an oloroso fiend because I love this style–Macallan being possibly the yardstick by which these are measured. While I also really like some of the earthy stuff (Talisker), drinking this makes me feel like an aristocrat. Figs, roasted almonds vanilla and Christmas spices. Reminds me of Sicilian fig cookies with more cinnamon and maybe some pepper. Brilliant! Thank you for this recommendation! I got a bottle and love it. Just got a bottle tonight via UPS (nobody local had it). I tried it and wow! It totally surpasses Macallan 12 in its depth of flavor, just wonderful. 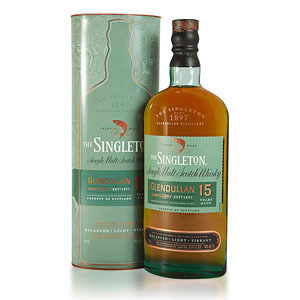 As a newcomer to scotch without a good local bar nearby, I have been buying different malts based on recommendations and reviews – and hadn’t considered Glendronach since Michael Jackson panned the 12 Year in the most recent edition of his Single Malt Scotch book. I so glad I took a chance based on the review and comments here. Perhaps Mr. Jackson’s review has done a valuable service, keeping Glendronach under the radar and relatively inexpensive for the rest of us. 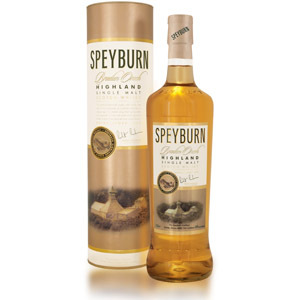 Just started drinking Scotch this week,started with Johnny walker red,witch is pure garbage.and as for my second bottle I pick speyburn. ill have to say I like it.I read about it and that’s how I got to this site. Thanks for this recommendation. I just bought a bottle of the 2013 stuff, and while I agree that it’s not at the level of the 15 year, it’s still excellent. I thought that you might be interested to know (though you may already) that the juice is quite a bit older than 12 years. I suspect the stuff in my bottle is closer to 18. Check out this link for more info, and please share your thoughts on the subject. Was heading out tonight to find a Belvanie 12 Year, they were out, but next to each other was a Glenfiddich 12, and the GlenDronach 12. I immediately called my wife and told her to hop on your blog and am very happy I did. I picked this up, brought it home, wow. I tried it first with no water- the nose was a bit sharp for me- good, but sharp (and forgive my terminology, I’m very inexperienced here), the taste was just fine- solid. A few drops and a few minutes later I was completely sold. Great review, and spot on. This is a great value, and after the water, the creaminess they advertise came through. Thanks for all these wonderful reviews. Great review. To date, this is my favorite dram. I’ve only tried 4 single malts thus far, but this is one fantastic whisky in this noobs opinion! Thanks for recommending this. Great stuff, can I get an Amen! Especially at $45. I have enjoyed all of your recommendations. You got me start on this journey with the Glenmorange original one year ago. My go to Sherried dram. Amazingly full bodied for a 12 year old. Just got a bottle. Started off just sipping a little, wasn’t impressed. But once I got over being a tightwad (paid $64 dunno why its so high here – still a noob) allowed myself to get enough to get really cover my tongue…WOW. I must say this one I am enjoying. 🙂 Thanks guys! You from Ontario? It’s the same price for me. I’m going to buy a bottle today, will be my first single malt. Hoping I enjoy as much as I enjoyed this review! Simply the best SM for the money I have ever tried with the exception of Auch Valinch 2011 which was only $2 more when I purchased it. Hi Aaron. I think GlenDronach 12 is better than Macallan 12 for a few reasons. First, the GD is cheaper by a few bucks and the brand hasn’t had the same history of price increases that Macallan has. Second, I find that I prefer the meatier / more resinous quality of the GlenDronach sherry to the “smoother” silkier fruit of the Macallan. That said, the Macallan 18 is better than the GlenDronach 18, but the Macallan 18’s price point is about double what it should be (or rather, what it used to be only a few years ago). They’re all excellent drams, so this is splitting hairs a bit. Given an unlimited budget, I would buy GlenDronach 12 and Macallan 18. Just thought I’d add to the chorus here that the Glendronach 12yo is a powerful dram. My bottle has a February 2014 bottling code, and so presumably still contains only the old-make, pre-1996 distillery output (i.e., from comments at the that Words of Whisky link, it seems GlenDronach production only actually re-started in May 2002). While newer bottlings may well contain the new-make Glendronach, I doubt the flavour would have changed that much (i.e., I’m sure they factored that into their planning, and are presumably still using a lot of the old-make in the current vattings). Finally found a bottle at a “surprising” local liquor store after searching for some time. Surprising in that they only have about five or six SM whiskys with GD12 being one where some of the huge liquor stores with 30+ selection don’t have it. It has a June 16, 2014 bottling date so even if that is >12 years (just barely) after the first of the new distilling, I presume it must contain at least some of the old make. I will say this though…for a 12 year old, my bottle is DARK in color. At least a shade or two darker than most of the pictures I’ve seen and certainly darker than The Mac 12. The nose is unbelieveable for a “12 year old” Sherried whisky. I could keep my nose in it all day. I’m fairly new to SM whisky, but definitely get the sweet sherry notes, and what I can only describe at this point as dark fruit. Not overwhelmingly fruity, but almost a savory fruit. The palate and finish are slightly underwhelming and the age of the spirit shows here and is a bit harsh. Of course, this was after only two small drams spaced a few hours apart. I’m sure as I get closer to the shoulders it will open up a bit. My novice palate can definitely tell the greater quality and complexity of spirit over the similarly priced Mac 12. I paid just over $60 for this bottle and Mac 12 runs about $55 here for comparison. Still a good deal at this point and I enjoy the whisky very much! I may make a trip back to that liquor store and buy up the remaining two or three bottles and save them for a later time when my palate has developed so I can distinguish the complex flavors better. The new GD 12 is now “double cask” matured in Sherry and American oak , which is a bit of a disappointment. My apologies, it is the older bottlings of GD 12 that are double-cask. I thought I had read somewhere that they are switching back to double-cask. Either way, I will still try to buy up those 6/2014 bottles under the assumption they contain a good proportion of the much older whisky. Just bought this after reading the reviews and I love it! Enjoy the firm nose of sherry and full bodied taste. Very good purchase for the money and a slight edge above MacAllen 12yr in my book. quick q, how Ru finding out what time it is bottled. I can see some numbers but can’t make any sense of it to guess the bottling time? Anyway great stuff..
My gift bottle is dated April 2018…very good SM!!! Been looking for this for weeks since I read review – 4th on tried and while good, I think I enjoy Glenmorangie Lasanta and QR a little better. Loved this dram! And yes I agree it is better without water. For the price, a great gift or bottle to bring to a cigar or fine dinner shindig. I’d be interested to know if a 2015 bottle was reviewed and scored as highly given that previous batches could have been aged more and have affected the score. Does a genuine 12 year stand up as well? This one was my personal Graal: I have been looking for it (at a decent price point and without having to pay ridiculous shipping fees) everywhere in Colorado with no success. I read the review when I started to be interested about Scotch in 2013 and looked for it ever since. 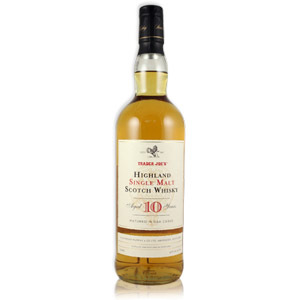 Since I could not find it I even asked for recommendations for a substitute other than Macallan (ended up with a fondness about Tamdhu 10 thanks to your recommendation). To add insult to my injury I managed to try it in a bar in portland 2 years ago and loved it (as I expected). Well my journey is over as it finally appeared on the shelf of my local liquor store, a bit pricier than then ($59) but worth every penny. I opened it yesterday for my birthday, what a great scotch (at any price point).